National School Bus Safety Week is October 17 - 21 2016. James Davis, Transportation Supervisor; Officer Jesse Curry, School Resource Officer; and driver Kenny Henry visited the Holly Harshman Elementary campus. All students were reminded of the safety rules on the bus, at the bus stop, and in the bus line. 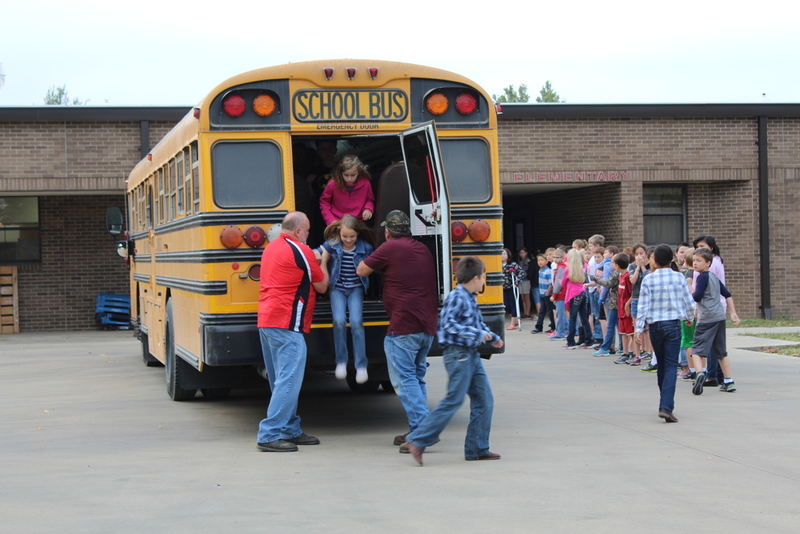 Students also experienced an evacuation drill while learning about the various emergency exits on the bus. The safety of our students is our number one priority. Please help us to reinforce the safety rules in order to keep our precious students safe.